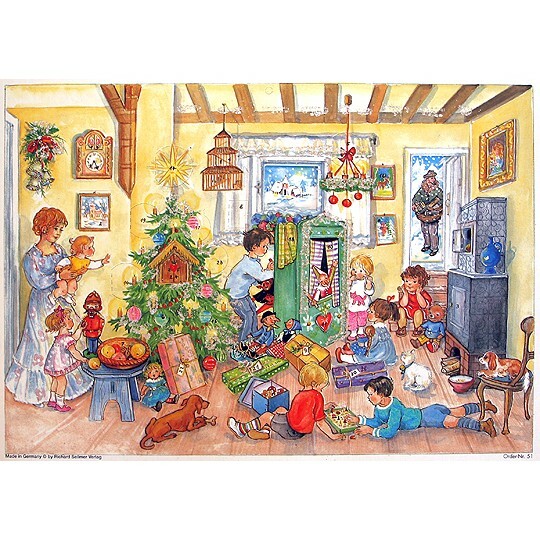 This advent calendar features a family on Christmas morning. 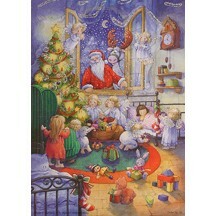 It has beautiful glitter accents and very fine detail. 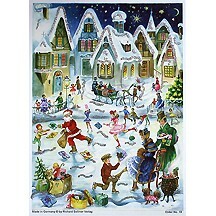 There are 24 numbered windows, one to open each day before Christmas. 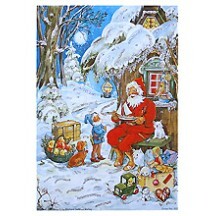 Made in Germany by a company making traditional calendars since 1946. 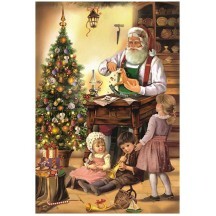 Measures 11 3/4" by 8 1/4". 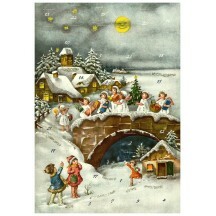 Snowy Angels' Arrival Advent Calendar ~ 11-5/8" x 8-1/4"